Blue Sage Capital based in Austin, Texas announced 2018 was its most active year in its 18-year history and some of the developments happened in Oklahoma’s STACK and SCOOP plays. The firm saw the exit of three of its portfolio companies and the addition of two others. One of its portfolio companies, Cobalt Environmental Solutions opened two new saltwater disposal facilities in the SCOOP and STACK. 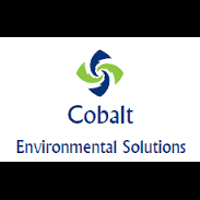 Cobalt operates energy wastewater injection facilities in the two oil provinces and opened two new greenfield facilities, Dibble and Cole. The company stated the operations should give meaningful cash flow and create a larger geographic footprint for the company. It also is working on an expansion of operations and reports that some future disposal facilities have already been permitted into 2019 and beyond. Elsewhere, Blue Sage completed an investment in All-State Industries in February 2019. All-State is headquartered in Des Moines, Iowa with six manufacturing operations in the Midwest and Texas. The firm is a leading manufacturer of non-metallic components for original equipment manufacturers across a diverse range of end markets. Blue Sage had earlier partnered with Hanover Partners to invest in Ligchine International Corporation based in Darien, Wisconsin.